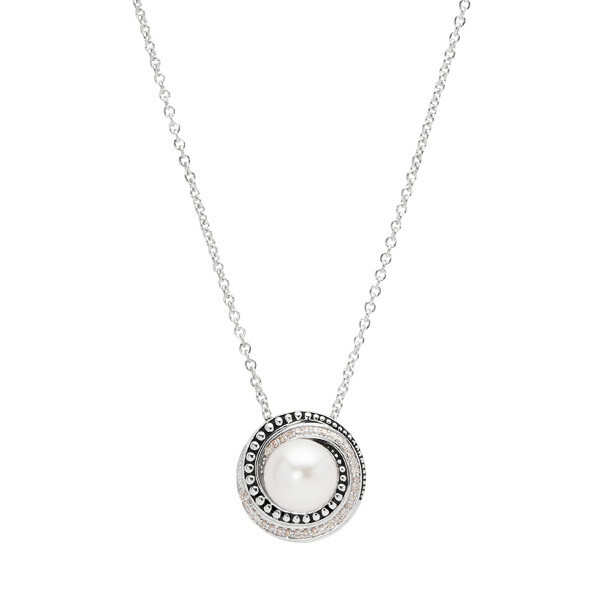 You'll be in a whirl over this Honora necklace from the Aurora collection that features swirls of diamonds and decorative precious metal around a 7.5-8mm white button freshwater cultured pearl. The sterling silver piece has depth and dimension from polished dots that pop along a darkened background and pretty pave adds extra sparkle. The shiny spiral detail of this necklace from Honora is spectacular!